One of the greatest achievements in the history of architecture, Chartres Cathedral is almost perfectly preserved in its original Gothic design, from its lively portal sculptures to its glowing stained glass. Schutz, Bernhard. Great Cathedrals. Harry N. Abrams, 2002, pp. 80-95. Minne-Seve, Viviane and Viviane Minne-Seve and Herve Kergall. 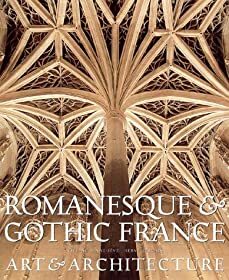 Romanesque and Gothic France: Art and Architecture. Harry N. Abrams, 2000, pp. 230-39. Markale, Jean. 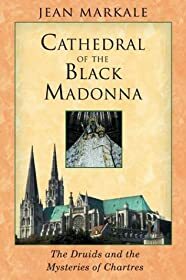 Cathedral of the Black Madonna: The Druids and the Mysteries of Chartres. Inner Traditions, 2004. Ball, Philip. 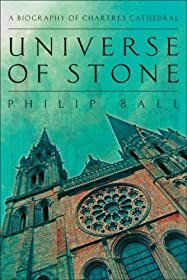 Universe of Stone: A Biography of Chartres Cathedral. Harper, 2008. Ball, Philip. 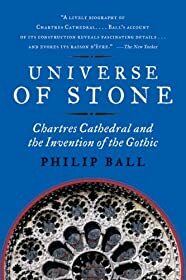 Universe of Stone: Chartres Cathedral and the Invention of the Gothic. Harper Perennial, 2009. Burckhardt, Titus and John W. James (foreword). 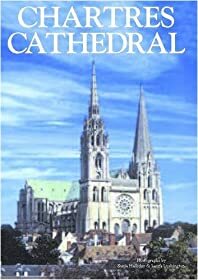 Chartres and the Birth of the Cathedral. .
Branner, Robert (ed.). Chartres Cathedral . W. W. Norton & Company, 1996. Miller, Malcolm. Chartres Cathedral. Riverside Book Co, 1997. Fassler, Margot E.. 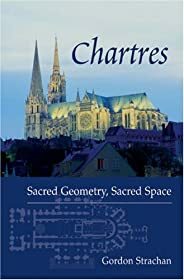 The Virgin of Chartres: Making History through Liturgy and the Arts. .
James, John. The Master Masons of Chartres. .
South exterior of the nave, with west towers on the left. Credit: Holly Hayes. Three statues on the left side of the central bay. Detail of the west portal or Royal Portal, completed by 1150. Its celebrated sculptures show the transition from Romanesque to Gothic. Credit: Holly Hayes. The Twelve Apostles are depicted in groups of three on the lintel of the central bay of the west portal or Royal Portal, completed by 1150. Its celebrated sculptures show the transition from Romanesque to Gothic. Credit: Holly Hayes. Medieval furriers at work. Panel 1 of the Charlemagne Window, c.1225. Chartres Cathedral, France. Credit: Holly Hayes. Charlemagne appears to Constantine in a dream. Panel 2 of the Charlemagne Window, c.1225. Chartres Cathedral, France. Credit: Holly Hayes. Constantine greets Charlemagne at Constantinople. Panel 5 of the Charlemagne Window, c.1225, based on legends described in the *Historia Caroli Magni* and *Song of Roland*. Located between the east and northeast chapel of the apse, Chartres Cathedral, France. Credit: Holly Hayes. Bishops present Constantine's letter to Charlemagne. Panel 3 in the Charlemagne Window, based on legends described in the *Historia Caroli Magni* and *Song of Roland*. Located between the east and northeast chapel of the apse, c... Credit: Holly Hayes.